California author spreads love for blues and Latin music in new children’s book! DESERT HOT SPRINGS, CA — Author Dr. Carolyn W. Gaines introduces kids to the music for dancing and listening styles of the blues and Latin music in her new book, Blues!.. Why Blues and Latin Music? — Second Edition. This wonderful new book is set to be released the week of Nov 19. The book is written in English and Spanish for kids. Just like Buddy Guy, Grady Gaines, Shemekia Copeland, and Jennifer Lopez the most exciting entertainers of our decade, now, you can read about blues and Latin music artists while enjoying lots of full-colorful photos. Kids can learn about blues and Latin music history from colorful cartoons of Buddy Guy, Roy Gaines, Grady Gaines, Muddy Waters, Bessie Smith, Etta James, Jennifer Lopez, Shemekia Copeland, Ray Charles, Guitar Shorty, Shelia E, Celia Cruz, Carlos Santana, Billie Holiday, Bobby Blue Bland, and Floyd Mayweather Jr. In Blues!.. Why Blues & Latin Music? — Second Edition, young readers will learn about Lead Belly, Bessie Smith, Jennifer Lopez, Ceila Cruz, Shemekia Copeland, Grady Gaines, B.B. King, Roy Gaines, and Buddy Guy and many more. Learn about different kinds of blues, Latin artists music history, the songs they sang and how to do blues and Latin math. Published by Tate Publishing and Enterprises, the book is available through bookstores nationwide, from the publisher athttps://www.tatepublishing.com/bookstore, or by visiting barnesandnoble.com oramazon.com. To purchase a signed book, email bluesschools@aol.com or message the author on Facebook at Carolyn Blues Singer Gaines. 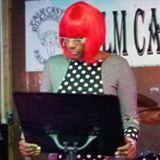 On a special note: author Carolyn Gaines has also entered the blues world as a new blues/rock singer. 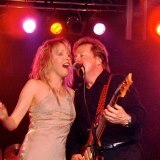 For blues educational public speaking and festival booking, contact manager Leon Levy at Jam Productions 760-770-5861. The publication cleverly describes an innovative instructional program called, ”BluesSchools.” The program targets a diversity of elementary and middle school kids in the Los Angeles Unified School District, and Roger Nabor’s Legendary Rhythm & Blues Cruise (kids). 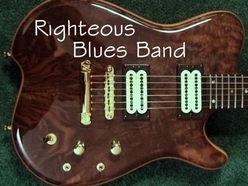 The blues program is applicable for school districts or educational institutions. The book’s hand-crafted bright blue, polka dot cover features a colorful, hand-drawn cartoon of legendary guitarist and blues singer, Buddy Guy. The cover was designed and drawn by author Dr. Carolyn W. Gaines. Blues art is used throughout the book to help describe melody, tempo, rhythm; to emphasize the importance of associative properties in mathematics while using both the English and Latin alphabets. A letter commenting about blues from legendary Roy Gaines grand-daughter, Rainey Washington, said, “Thanks Buddy Guy” for his Sweet Tea CD received at a meet and greet backstage at the Greek Theatre in 2003. 12 year old Rainey Washington’s letter attests to the fact that young kids love blues music and the history, deeply ingrained in English and Latin cultures. Dr. Carolyn W. Gaines constructed 800 blues, Latin, assemblies for LAUSD music Kids. Roy Gaines, the blues guitarist for Billie Holiday, is the father of the author’s biographical focus of the book. Dr. Carolyn W. Gaines joyfully taught the kids about her legendary Uncle Grady Gaines who was saxophone player and bandleader for both Little Richard and Sam Cooke. Gaines also taught about great the blues and Latin contributions of the greats Buddy Guy, Roy Gaines, Blind Lemon Jefferson, Bessie Smith, B.B. King, Sheila E, Jennifer Lopez, Carlos Santana, Bobby Blues Bland, Guitar Shorty, Shemekia Copeland, Lonnie Johnson T-Bone Walker, Ray Charles, and Bessie Smith who are each accented by children’s artwork and bilingual comic book captions. Blues and Latin comic cartoons are drawn by Dr. Carolyn W. Gaines and her daughter Rainey Washington. Dr. Gaines meticulously credits many important people for their support, covering two decades. She acknowledges a plethora of influential supporters of her ”Blues Schools Program.” Some are well-known and others less visible but powerful achievers. Her detailed citations may require parental and teacher guidance to help children explore the larger blues context. If the purpose of blues education is to successfully pass accumulated cultural knowledge of previous generations onto the next, then Dr. Carolyn W. Gaines has accomplished that with her ”Blues Schools Program.” She has left a clear blues roadmap to replicate its success, in her book. That, along with intricate details of the music industry that her father Roy Gaines taught her, motivated her to write the book. Blues!.. 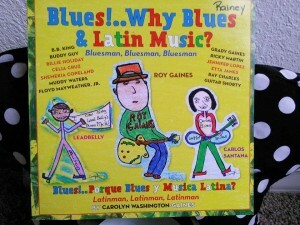 Why Blues & Latin music? Dr. Carolyn W. Gaines has taught blues history, art and lyrics classes. She has also produced 800 blues assemblies for Los Angeles Unified School District students. She originated blues projects with local blues musicians, NY-Jazz Foundation, Boys & Girls Club, and superstars such as: Roy Gaines, Rene Jasha, Buddy Guy, B.B. King, Keb’ Mo’, Guitar Shorty, Shemekia Copeland, Hubert Laws, Carlos Santana, Jeff Beck, Herbie Hancock, Ray Charles, Lisa Terry, Bobby Blue Bland, Taj Mahal, James Brown, and Ike Turner, with music students to meet and greet at major venues. Silverstone Records, Alligator Records, Malaco Records, Universal Records and Black Gold Records send students promotion materials of their blues artists.